Luckily for all of us, the name itself is pretty self-explanatory. Simply put, anti-slip flooring is a hard floor surface created or treated in a way that it will help prevent accidents by slipping. Meaning if you or anyone else goes running through the house after mopping, there is less of a chance that you will have to visit the emergency room afterwards. It’s not the first thing that comes to mind when you consider creating or renovating your home, but it is very common to find in other places such as restaurants and businesses where a lot of water or liquid is being used. 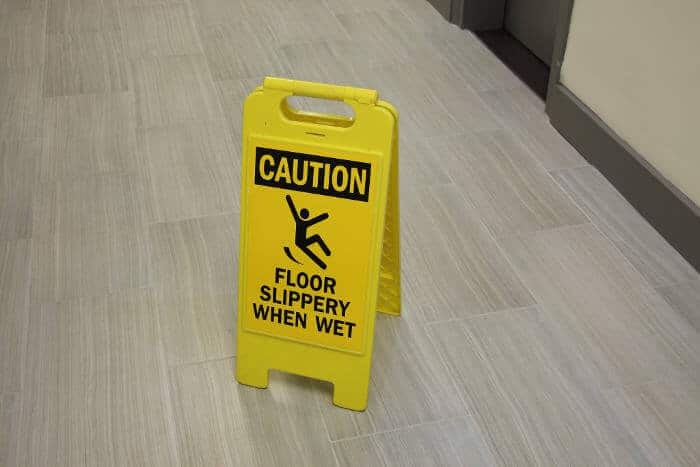 Anti-slip tiles can be found very easily in the business environment as a way to protect their workers. After one too many instances of slipping while stepping out of the shower, you might start to wonder why we haven’t all caught onto this trend yet. Historically, anti-slip floors weren’t made to satisfy our desire for a beautiful house. That’s one of the reasons we don’t see it used much in a personal capacity as it is in business. In recent years, however, a lot more companies have started catering to those of us who want more safety in our homes, giving us more attractive options that are also practical. Let’s look at some of the pros and cons that come with anti-slip floors. Less accidents: Whoever first decided that staircases should be made with slippery hardwood flooring deserves a medal for the least practical house design. This is just one place that anti-slip flooring can prove its merit, giving you a bit more peace of mind when carrying large things up and down the stairs. Bathroom, laundry room, and kitchen floors could also stand a bit more safety concern since the chance of water or other slippery substances getting on the floor in these rooms is very high. Ease of installation: There are two options when considering anti-slip flooring. You can choose to install tiles, vinyls, or floorboards that are anti-slip or you can treat a current surface with a coating that makes it more slip resistant. Nowadays it is very easy to put both into motion, and they are both long-lasting options. Some treatments are available which won’t even affect the appearance of the floor, so you don’t have to worry about sacrificing beauty for practicality. Less options: When choosing this option for your home, chances are you won’t find the same choices as you would when looking at normal flooring. This is especially true when it comes to wooden floors. Unless they come out with rubber-tree flooring, you’ll probably have to apply a treatment to a natural wood floor. Effects are not necessarily permanent: Just as regular flooring gets worn down over time, anti-slip flooring will not last forever without maintenance. If you apply an anti-slip treatment to a normal floor, the lifespan may not be any longer than a few years. That’s a bummer for those of us who don’t like home renovation very much. No more sock-skating: While this isn’t a very serious issue, it is worth mentioning that the kid in you may disappear a little more when you no longer have the ability to zip down the hallway in your socks. There you have it. If you are considering anti-slip floors, specially created flooring is a more permanent option, but don’t expect the same designs that you will see for regular flooring in everyday hardware stores. If you want to use a treatment, they can be very effective, but not as permanent. Either way, the benefits can greatly outweigh the disadvantages. They say if you haven’t got your health then you haven’t got anything, and slick floors can certainly jeopardize your health!